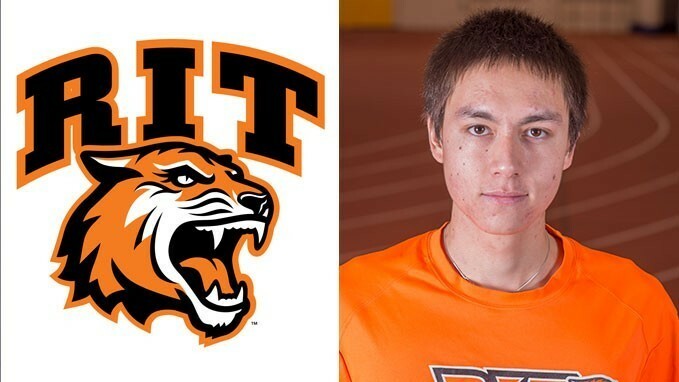 ROCHESTER, NY - Sophomore jumper Nick Ng (Wayland, MA/Wayland) of the RIT men's track and field team, was named the Liberty League Field Athlete of the Week on Monday, for the week ending Jan. 25, 2015. It is his first weekly honor. Ng placed fourth in the long jump with a leap of 6.50 meters at the Brockport Golden Eagle Invitational on Saturday. It was a personal best for the sophomore. The Tigers are back in action on Saturday, Jan. 31 at the Robert J. Kane Invitational, hosted by Cornell University.